Coventry City have signed midfielder Ruben Lameiras on a two-year contract following a trial with the club. The 20-year-old began his career at Tottenham, but made 14 appearances in Sweden last season for Atvidabergs. Lameiras played for the Sky Blues in pre-season friendlies against Nuneaton and Portsmouth. "In the games he has played with us, he has been bright and carries a real threat on the ball," boss Tony Mowbray told the club website. "Ruben can play central or on the wings, so once again, we've got another player who can be a valuable option for us across the park." 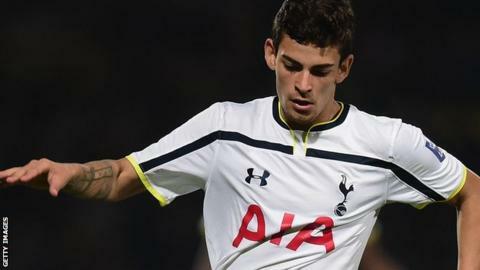 Born in Portugal, Lameiras arrived at White Hart Lane in 2011, but failed to break into the first team in his near four-year stay in north London.